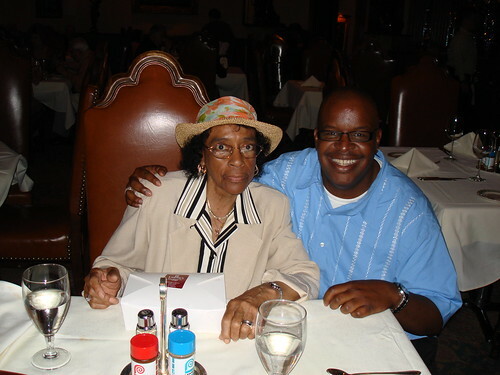 My mom and I took this photo in June 2007 at Lawry’s Prime Rib in Chicago after we went to see The Color Purple. It was definitely a fun day and one of our last fun outings. Today, 01/29/2008, my mom passed after battling with lung cancer. Thank you for all your love and prayers. This entry was posted on Tuesday, January 29th, 2008 at 9:29 pm. It is filed under Family. You can follow any responses to this entry through the RSS 2.0 feed. Reginald, thank you very much. I have visted your site off and on for several years and I’m so sorry about the death of your mother. You and your family are in my thoughts and prayers.